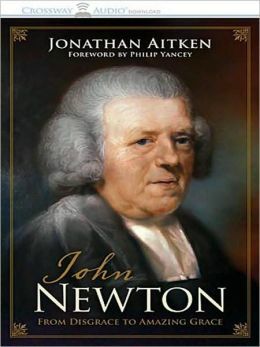 I have recently finished the outstanding biography of Pastor John Newton in the book John Newton – From Disgrace to Amazing Grace by Jonathan Aitken. The life of John Newton is extremely fascinating as the former slave ship captain is saved by the Gospel of Jesus Christ and becomes a beloved pastor and national Evangelical figure in the late 1700’s. Newton’s pastorates at Olney Church and then at St. Mary Woolnoth of London are well documented by his involvement with the famous English poet William Cowper, William Wilberforce, and the movement to abolish the slave trade. Of course, everyone knows of his beloved hymn, Amazing Grace, which started out as a sermon illustration for his New Year’s Day message on January 1, 1773. But more than anything else I have been inspired by the concept of Newton as a pastor/songwriter. He wrote and published hundreds of hymns that were used in his churches and all over the English-speaking world. He understood the long-standing power of music, more than the preached Word, to teach, inspire, and transform people into faithful disciples of Jesus. In today’s world, we normally do not think of the teaching/preaching pastor as a creative, musical type. Most often he is stereotyped as the lone man in the sanctuary who can’t sing, can’t play an instrument, and will never spend any time penning a song to be used for his congregation. He is the verbal teacher, not the musical artist. But isn’t this stereotype a rather new idea of the pastorate? For the greater part of Christian history, especially post-Reformation, the songs and hymns of the faith were written primarily by pastors and preachers as sermon illustrations and teaching tools. If you wanted to instill doctrine, you wrote in a song not a sermon. If you wanted to teach affection and devotion to Christ, you crafted a hymn not a Bible study. So my question is: Where have the Pastor/Songwriters gone? We have Pastor/CEO’s, Pastor/Theologians, Pastor/Authors, and Pastor/Counselors, but rarely any Pastor/Songwriters. In many ways, the concept of the sacred desk has been re-inspired by the new reformers resulting in young pastors taking seriously preaching and teaching as his primary function. But I wonder how long will it be until songwriting will return to it’s prominent place in the pastor’s life. We could use some great music inspired by great study of the Word. There is no question great music is being written by fabulous songwriters and musicians, only not many of them are pastors. I think John Newton would be disappointed.